Recently, my favorite on-line homebrew recourse, MoreBeer.com, announced their 3rd Annual Forum Competition. I did participate the first year, but not the second. Well, I guess it was fortunate that I did participate the first year for it made me eligible to participate in a separate invitation only competition they are holding too. This year, More Beer is trying something new. It is the “Stainless Brewer Competition“. Here is what they have to say about it: ‘The second will be an invitational comp for the first and second place winners of last years comp. Since this is a new thing, we will be inviting first and second place winners from both previous years to brew a special beer, whose recipe is a secret. I will be contacting those people soon with details and info.’ It sounds like a neat idea to me, so I called up and ordered my “secret” kit. I received my kit yesterday and was surprised. I knew it was going to be extract with specialty grains, pellet hops and dry yeast – but that’s about all. So when I open the box and that was about all that was in there I was surprised, no additional instructions, no other rules, and everything was more stripped down than I would have guessed. I have not weighed out the ingredients, but it appears to be about 6 lbs of light liquid malt extract, 1 lb of light colored specialty grains, 2 oz of hops Centennial and Cascade and US-56 dry yeast. Sounds like a super light dry West Coast Pale Ale to me. Anyway, thinking there should have been more to it, I wrote to the guy in charge asking if the lack of information was correct. This is the reply I received: ‘You are not supposed to know what style you are brewing, that is correct. There should have been the basic extract instructions in there, but that is about it. You are not allowed to alter the recipe in any way. 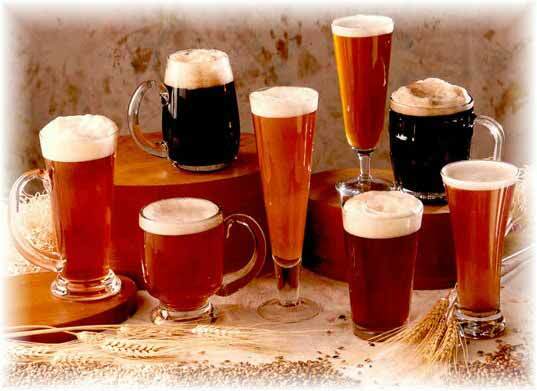 The only control you have is over the cleanliness of your brewing, and your fermentation temps.’ So, is this a competition where they are seeing who can brew the ‘cleanest’ beer? Great, I don’t think a week of being in the mail is going to help my entries. More posts on this as I brew the beer, enter the competition and here the results over the next several months. Yesterday I bottled the Homegrown Mild. It was a pretty uneventful bottling experience, which as far as bottling goes is what I’d like to happen. The final gravity weighed in at 1.011, which with my estimated original gravity would give this beer an approximate alcohol content of 4.3%, pretty much along the lines I was shooting for. Of course I drank some after bottling, it was actually quite tasty: nice light toasted bread crust with a hint of a chocolate dusting complemented by a bitter, but not aggressive, background. Can’t wait to try the real deal in two more weeks. Last night my buddy Todd and I went up to Philly to check out my other friends band play at a small coffee house called Kaffa Crossing. Both Erik Mitchell and Robert Desjardin that I know are in the band. The environment there is small but not really interment, but still comfortable. It seems like a nice place to grab some coffee, but maybe a little distracting to play a show. all songs with Jon Mernyk on lead guitar, Corey Bonser on bass, Robert Desjardin on drums, and Erik Mitchell on acoustic guitar and vocals. I did have a good time, but I think the biggest disappointment for me was the lack of something else going on before or afterward. I was ready to have a Saturday night, but instead it just finished up as another night. Until next time I suppose. I love homebrewing. I really enjoy almost every aspect of the hobby. From designing recipes, to buying and building new equipment, to the actual brewing process, to watching others enjoy my beers and enjoying them myself. But I really do despise the whole bottling process. I have bottled enough batches that I should have a pretty good system down by now, and I think I do, but it still takes way too long and it is retardedly monotonous. One thing I have started to do as of maybe two years ago to break up the monotony of it is to complete the whole process over two different days. In this way I accomplish a few things; -1- I don’t get so frustrated/bored that I am not interested in bottling -2- I can now do this over two weekday nights and not feel like that is the only thing I did that evening and -3- I really don’t feel quite as burnt out afterward. Unfortunately, besides being repeatedly boring, the task also takes longer than I feel it should. I think I normally take 3-4 hours to complete the complete task, so two sessions half of that is much more manageable. 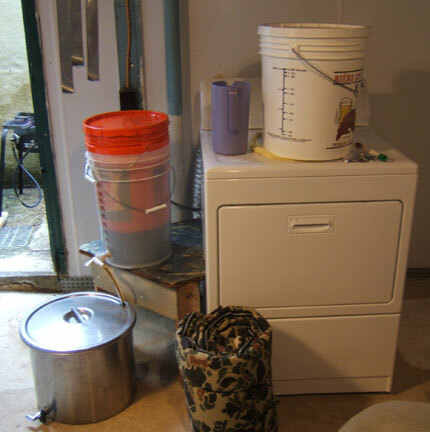 My basic system is I’m sure very similar to most homebrewers. I try to start with “clean” bottles. By this, I typically know the bottles history (I drank the beer inside or got them from a reliable friend), and there is no visible funk inside the bottle: mold, dirt, cigarette butts – those sort of things. Next I soak the bottles in a warm/hot solution of PBW (Powdered Brewers Wash) which is very similar to OxyClean. I typically allow the bottles to soak 24 hours, to really help dissolve/loosen any funk on the insides I could not see and to help eat away at the glue on the bottles labels. From the PBW soak the bottles are each individually emptied, inspected, de-labelled, and scrubbed clean. After the cleaning is complete the bottles need to be individually rinsed. I use hot tap water and a bottle washer, which is a pretty neat little gadget with a one-way valve that sprays the inside of the bottles. After the rinsing I prepare a sanitation solution to sanitize the bottles. 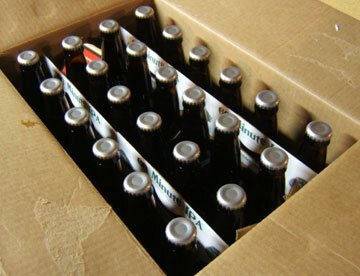 The container I use can hold a case of beer at a time so this process only needs to be repeated twice. From the sanitation solution they bottles go to a pre-sanitized bottle tree to let drain and air dry upside-down some. From the bottle tree the bottles are up righted and the opening is covered in aluminium foil to keep the interior sanitary until I am ready to add the fresh beer. All of what I just went over I would consider Step 1, about two hours worth of boring yet careful work. Well, regardless of all of that, the reason I wanted to post was in reference to the above pictures. First, it looks like I have a large enough and sturdy enough container now that I can soak two cases of beer at one time, nice. Previously I would use two separate containers, same amount of time, twice the amount of clean up. Also, I wanted to see what the heat retention was like on the container. 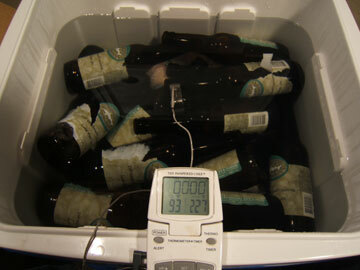 When all the bottles were added the water temp was 122F, and over 24 hours it dropped about 30 degrees to 93F. Even though it was probably not this simple, about a degree an hour – I can live with that. Anyway, hopefully having a container that retains heat well will help with the whole de-labelling process, which is really the bear of the whole thing. If you read this whole post and were bored off your pants not really realizing how you were going to make it through the whole ordeal, well not you have a small taste of what it feels like to prepare bottles for bottling homebrew. UPDATE: The guys that we shipped to posted pictures of the beers we sent them, so guess what, I’m going to post them here for all to see – enjoy! As with every BIF, once you receive you always have to ship out too. 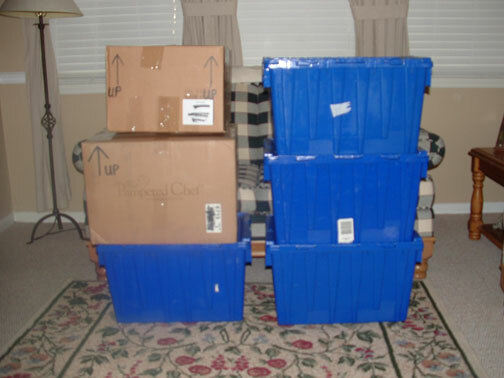 Below is a picture of the packages Guy and I sent out. Yes we sent all 6 packages to one other team, weighing in at a grand total of 158 lbs! 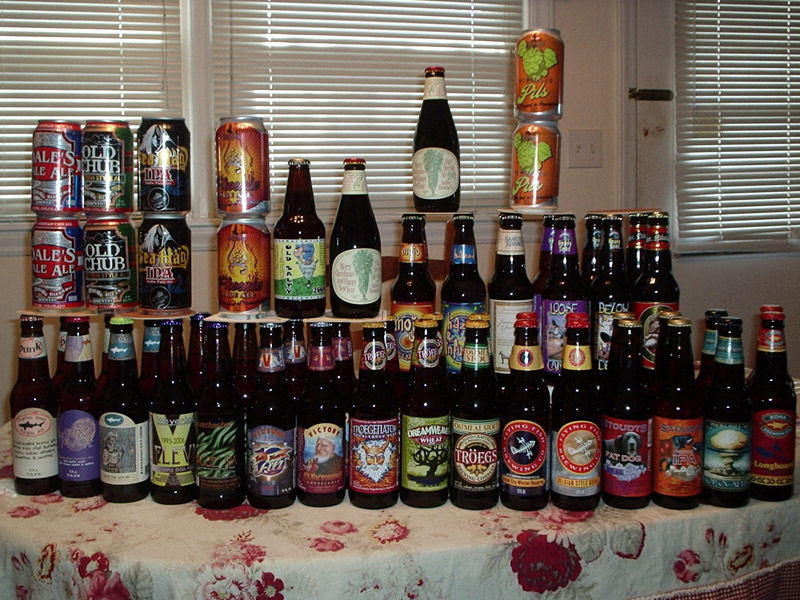 I wish we would have thought to take a picture of the beers, but this is impressive enough. I can see you drooling now. O.K., remember the other day I said that this year I would be trying to post more and in doing so post about stuff that isn’t always about beer? Well, I said it, and now I said it again. Anyway, this is one of those posts, let me know if I bored your socks off. 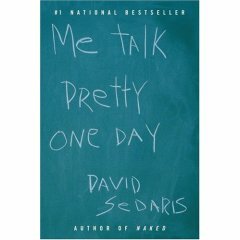 I finished Me Talk Pretty One Day by David Sedaris the other day. I was lent this book a few months ago by my good friend Richard. I then brought the book to read on my lunch breaks. Well, after way too many distractions, I finally finished it. Oh yeah, one of my other goals for this year (hopefully not too difficult) is to read at least 12 books this year. I know to many of you that sounds more like 3 months or so of reading, but I have really fallen off the book reading bit recently, so here I go again. Anyway, this book is basically autobiographical which is totally cool with me because this guys life is all over the place, but I wish I would have know that from the get-go instead of repeatedly thinking in the beginning, ‘geez, is this an autobiography or something?’ The book is pretty light and fluffy, with Mr. Sedaris basically just telling great stories from his past – kind of like you have a new buddy you started hanging out with / drinking with and these are all the crazy (and not so crazy) things he has done in his life before he met you, yet you know one day you’ll be part of his stories too. He’s a really good story teller, and each story is broken off as its own chapter. Some of the different chapters overlap, and that helps bring the book together as a whole. If your looking for something easy to read, that you can probably relate to on some level, and will make you laugh quite a few times, check this book out. I’ve also been lent Dress Your Family in Corduroy and Denim by David Sedaris, so I’m sure you’ll be hearing about that sometime too. Recently I have been able to try a few new micro brews, pretty typical in the world of Fool Circle, but this time these brews happed to be canned! Personally, I think it is pretty cool, a little novel at first, but all in all a pretty cool idea. I have known that local brewery Sly Fox had started canning there beers as of 2006. Of course, we can not get them here in Delaware, but I went to seek them out. 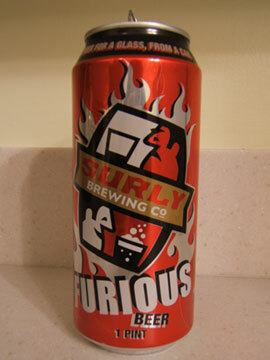 Since my first experience with Sly Fox in a can I have learned there were several others, two of those breweries represented here: Oskar Blues Brewery & Surly Brewing Company. 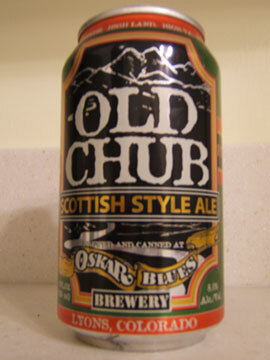 The first micro brewed beer that was canned was by Oskar Blues Brewery in 2002. 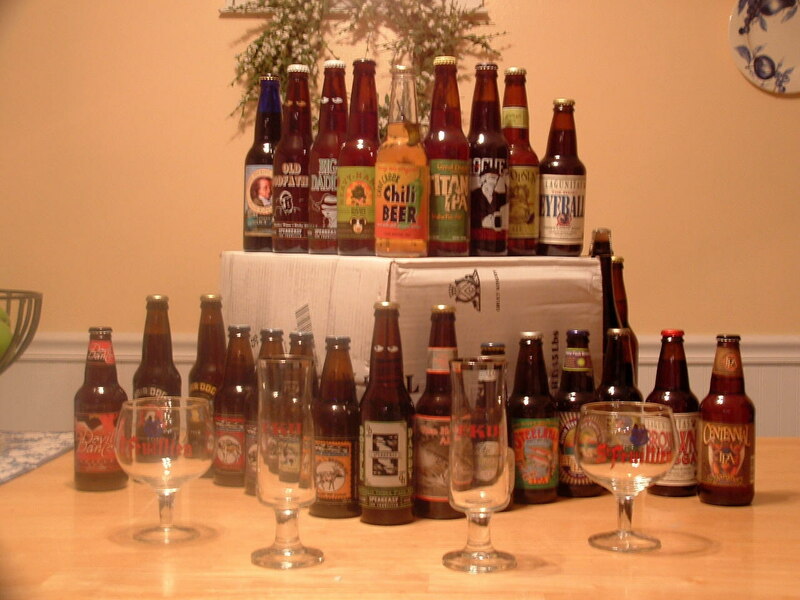 There are now over 36 different breweries that can there beer. Here is a great movie put together by the people over at Oskar Blues – Canned Beer Apocalypse Movie. Personally, I have been thinking that canned beer is pretty cool. Some quick reasons why it may be better or more convenient that glass or draft: Almost 0% exposure to oxygen, almost 0% exposure to UV light, lighter, cheaper, almost 100% recyclable, can go places glass can’t go (ie: ballparks, pools, beach), ideal for camping or backpacking. These are just some quick ideas I came up with. No real research was done, so don’t flame me for misrepresenting something for it is not intentional. Anyway, I say keep it up and let’s go pop some tops! 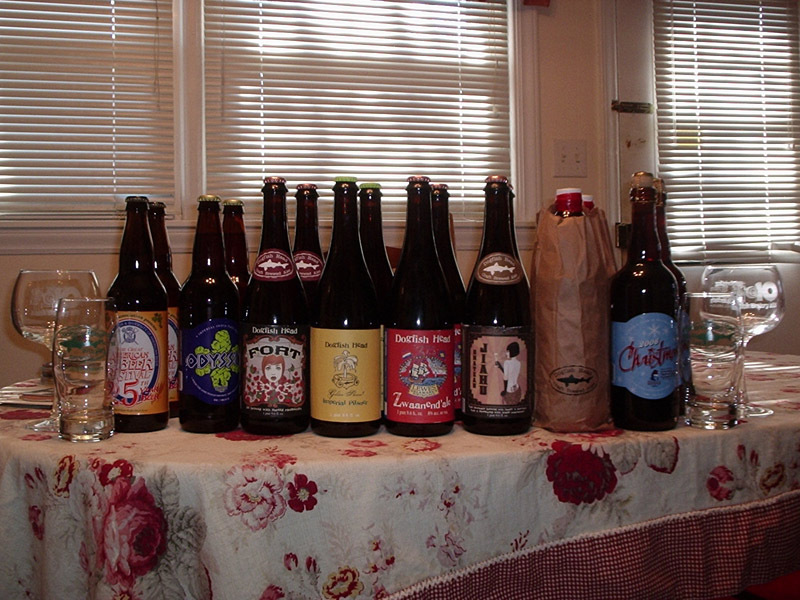 Recently I signed up for another BIF (Beer It Forward) on Beer Advocate. This BIF was call Double Trouble BIF. The basic premise was that each recipient had to be a pair and send two of each beer, so essentially two identical BIFs happening at once. I thought this was more interesting then your typical BIF so I signed up with Guy (ImStillTheGman). I believe there were 12 pairs involved and we received 10th or so in line. Well, unlike most BIFs this one has really been snow-balling, with each pair of BIFers really trying to out do whomever was before them, or at the very least impress the pants off the next recipient. Anyway, by the time it got to Guy and I this thing was crazy out of control, both the beers we were going to send and the beers we were about to receive. This was a failed attempt at me trying to start a BIF off Beer Advocate, to say the least, it didn’t work – at all. Oh well, I guess that’s what places like Beer Advocate are for. 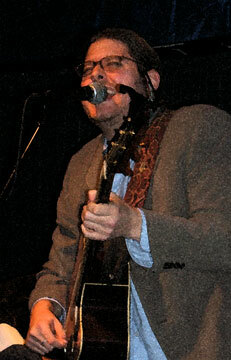 First, I’ll say that I have been neglecting this website for a while, so I promise for 2007 to have more updates. Second, in order to have more updates that means I’ll need to brew more than in 2006. So my modest goal for this year is to finish upgrading my equipment (for now) and to brew at least once a month for the year. Third, to fill-in-the-gaps between brews I may start posting other random things; beer reviews, happenings, and other ideas, so hopefully all will enjoy. 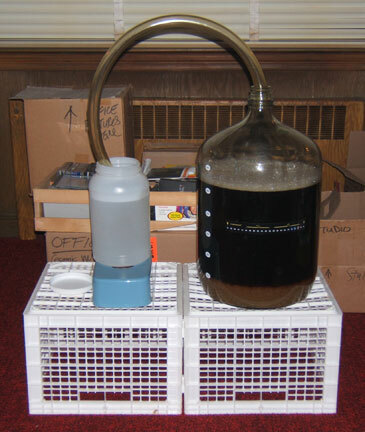 On Sunday January 14th I brewed the first beer for 2007, *plus* it was the first beer at Calhoun, *plus* it was a beer brewed with all homegrown hops. This beer is an English Mild-esque beer. The reason I say it like that is that it is brewed bigger than an English Mild, with all American hops grown exclusively in Delaware, and uses a strain of yeast from Canada. This beer used some new malts for me, specifically Pale Chocolate Malt and Flaked Barley. Pale Chocolate Malt is half as dark as regular chocolate malt, but should still add all that lovely color and vanilla and caramel notes, only more discreetly. Flaked Barley is an unmalted barley which should add a graininess (in a good way) to the beer plus help with head retention. There was a total of five different malts in this beer, hopefully all will add to the end result. Also, as mentioned before, I used all Delaware grown homegrown hops in this beer. For bittering I used Nugget hops grown by my friend Garrett and for flavor and aroma I used Cascade hops grown by myself. Nugget hops are generally a good bittering hop with high alpha acid, but since these are homegrown there is no true way to test there alpha acid level, so it is used with an educated shot in the dark. Cascade are know widely for there grapefruit citrusy aroma and flavor, this is the signature hop for almost all west coast Pale Ales. Also since these are homegrown their pungent smell will most likely be lacking, but other variants may stand out more. The brew day itself was mostly uneventful but still interesting. This was the first beer brewed at Calhoun, so I had to get used to where to situate all of my equipment. Also, most of my stuff still hadn’t even been fully unpacked yet, so that made everything more fun. I figured out a pretty good scenario for a set up was to work out of my basement through the door leading to out back. In this way my kettle, hot liquid and gas are all outside with plenty of ventilation, and myself and the remaining equipment are nearby and undercover inside without having to go up any stairs. Craig came over about half way through the brew day and we enjoyed a few good beers, Trader Joe’s Dark Belgian Ale, DFH Zwaanend’ale and DFH Chateau Jiahu. In combination of beers clouding my thought process, being overly optimistic and forgetting to do anything about it – I wound up running into a stuck run-off after my wort had cooled. This is a bad time to have issues for the wort is at a very delicate stage very susceptible to picking up an infection during this period. The obvious reason for the problem was being unprepared for using whole leaf hops (5.5oz for that matter too), and having them clog the exit spigot on the kettle. The solution I came up with on the fly, dump the whole kettle full of wort into the mash-tun which has a false bottom and basically strain the sweet liquid from the hop material. Yes I took the time to sanitize everything. 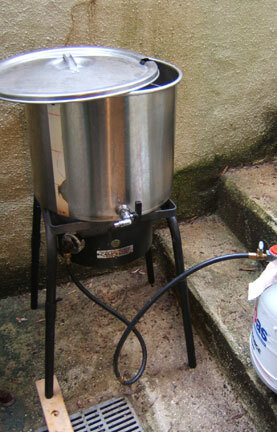 I poured from kettle to mash-tun, then ran-off from the mash-tun to the carboy. From what I can tell it worked like a charm! 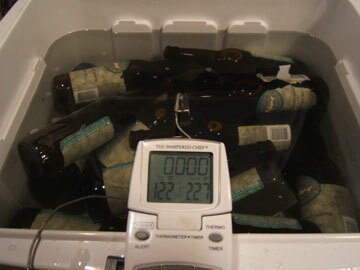 Recovered just over five gallons at approximately 1.044 OG. “Approximately”, why do I say that? Well, ‘Kid Genius’ over here forgot to take an original gravity reading, so that number is a guess based on the gravity reading of the wort prior to boil. What’s next? I’m open for suggestions. 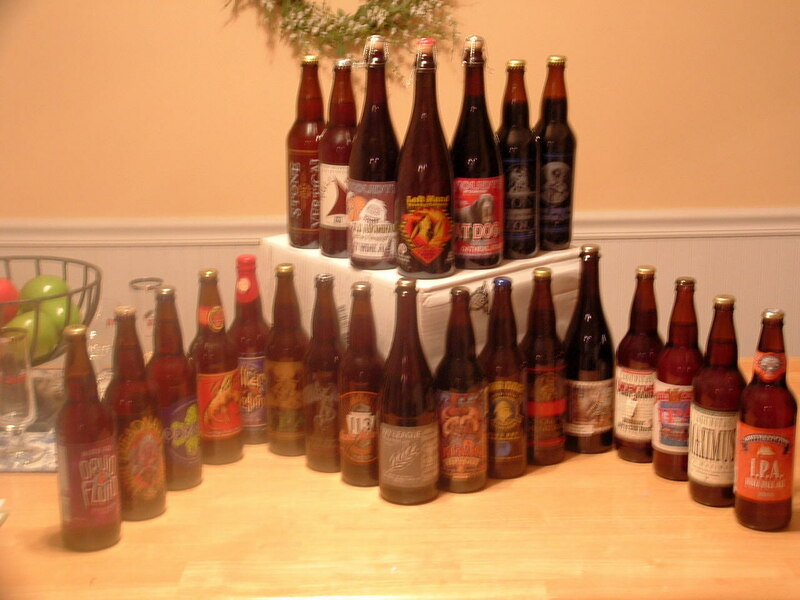 You are currently browsing the Fool Circle – Artisanal Ales blog archives for January, 2007.